I recently turned 39 years old and I feel stronger and healthier than ever. I’m now hitting PRs consistently and finishing WODs at RX. Most importantly, I feel like I’m just getting started. I was introduced to CrossFit during my Moab mountain bike trip in October of 2011. My friends from Northern California (Norcal CrossFit) had become these badass mountain bikers. They attributed their strength, stamina, and endurance to CrossFit. I returned from my trip extremely curious about CrossFit. Then a good friend of mine, Donovan Miller, joined CrossFit Central in November 2011. I was able to see firsthand Donovan’s changes and improvements. I attended a Community Workout in February 2012. Once I was able to accommodate my personal schedule to ensure I could fully commit to CrossFit Central, I joined in April 2012. As expected, I wish I had joined earlier! My life prior to CrossFit Central was active, but not healthy, or at least how I have recently redefined what healthy really is. I have always been active with running and mountain biking. My diet and nutrition were poor. I have always had a determined, goal setting attitude/personality. Now being part of the CC community and culture, my determination and goal setting is at a completely different level. I cherish the ability to set goals, focus on the steps to achieve the goals, executing and succeeding. I’m a completely different person. Since joining CrosssFit Central in April, I’ve changed as a person, emotionally, physically and mentally. I’m definitely more confident in myself and I think this has directly impacted my decisions in my professional life, personal life and life inside the box. Additionally, I’ve become a stronger runner and a much stronger mountain bike rider. I lost 11 pounds, 11 inches, 16 pounds of fat & gained 5 pounds of lean mass. 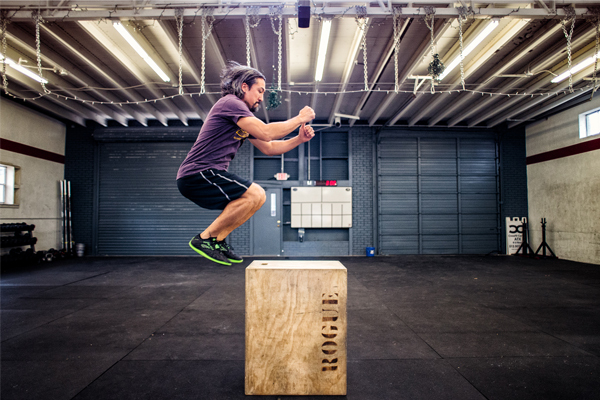 Through CrossFit Central, I have learned that there are no more barriers. My wife, mother and brother have committed to healthier living through nutrition as a result of my success. I’m very proud to have influenced those closest to me. Viva CrossFit Central, its culture and its community!!!! I love you guys! !